This is a guest post by Peter Barker (@voxcanis). All photos of Chinese instruments are his own. In 2002 I was invited to a conference in China. 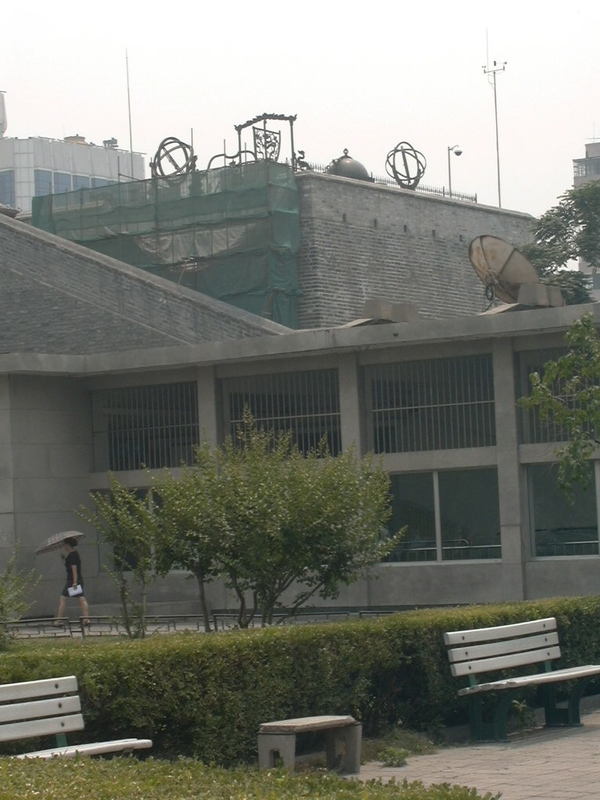 I used the opportunity to visit the Tychonic instruments preserved in Beijing. 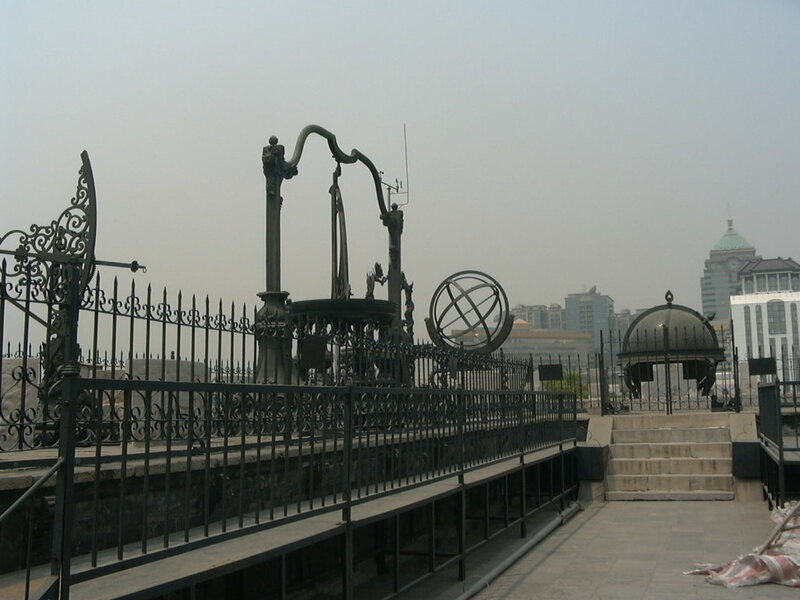 Constructed with the help of Jesuit missionaries at the Imperial Court, the observatory was originally located inside the “Forbidden City” — the Imperial compound — but was later moved to its current location, a watchtower on the original city wall. The instruments were made of bronze, and have survived much better than their European counterparts. 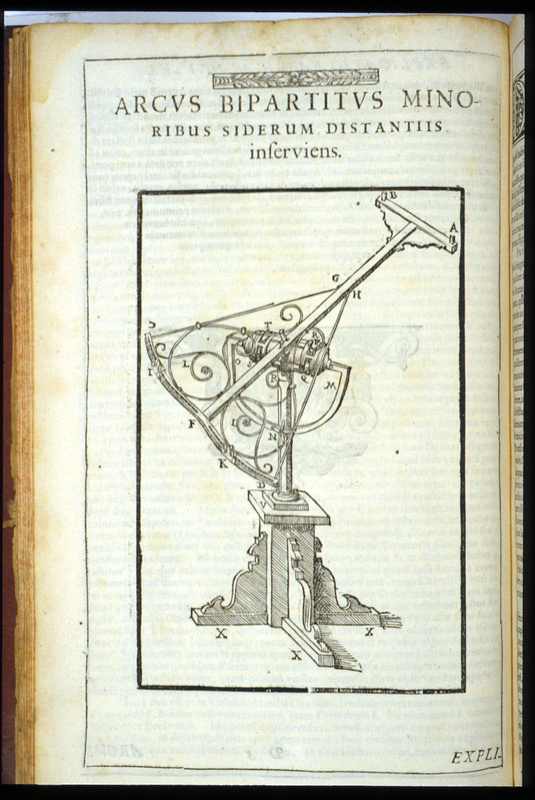 Here are the original illustrations from Tycho’s book about astronomical instruments, self-published in 1598, together with pictures of similar instruments from Beijing. Here is a bipartite arc, used for accurately measuring angular distances between stars that lie near to each other. Courtesy of OU History of Science Collections. Compare the base with Tycho’s version. 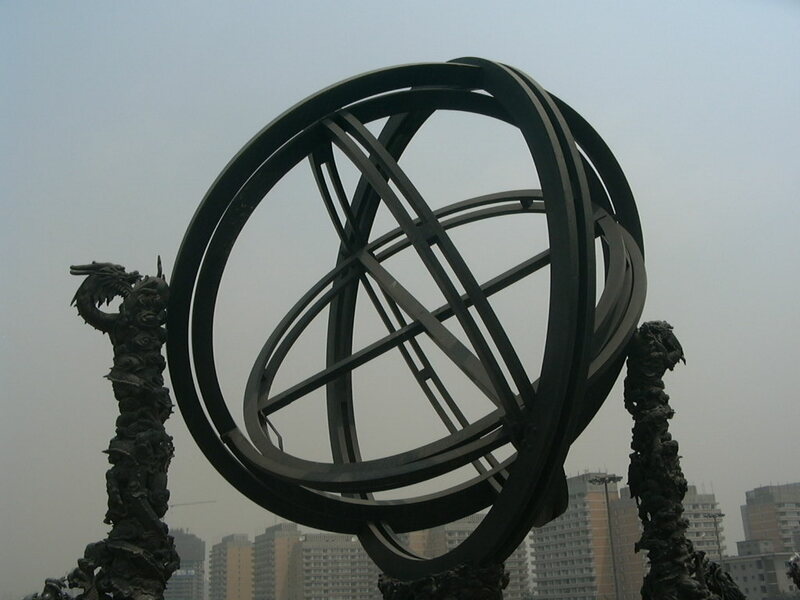 Next is a large armillary, which could make observations of objects at any angular separation. 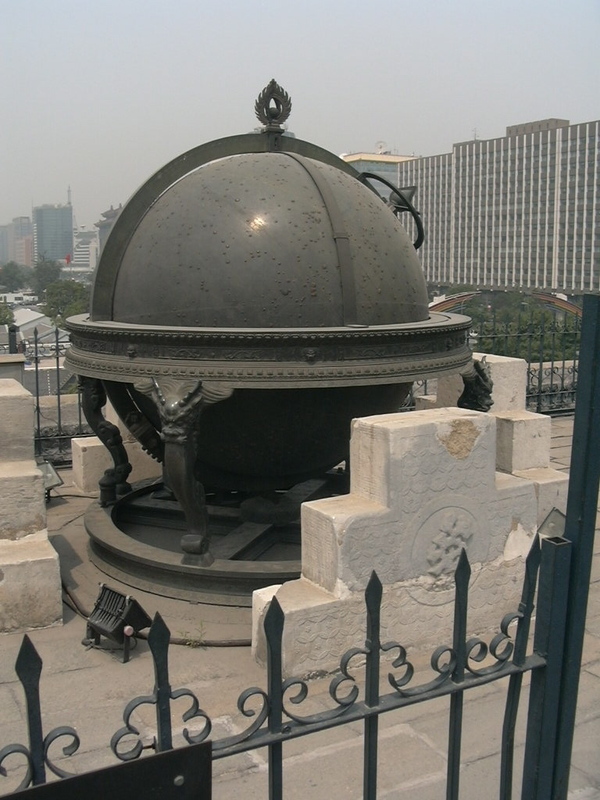 After conversion from instrument readings to precise celestial coordinates, Tycho’s results were permanently recorded on a giant celestial globe, which also functioned as an analog computer. Tycho’s version was wood sheathed in copper. 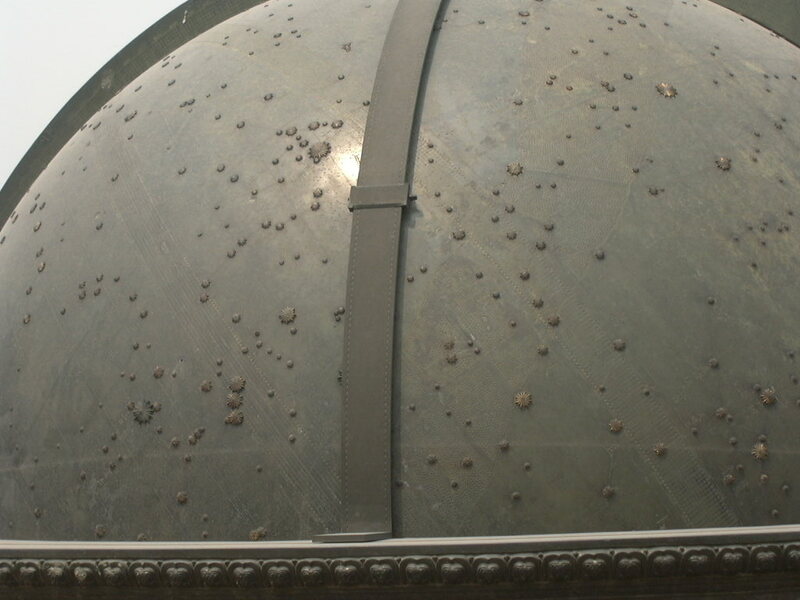 Here is the Beijing globe, with a close-up of the star patterns on its surface. 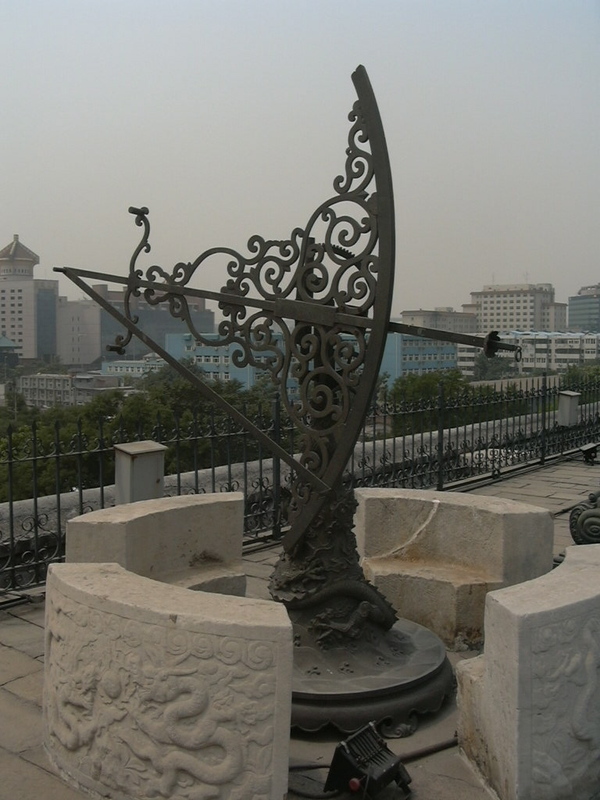 Tychonic astronomy was so successful at the Imperial Court that within 30 years books were appearing that claimed it was a Chinese invention. 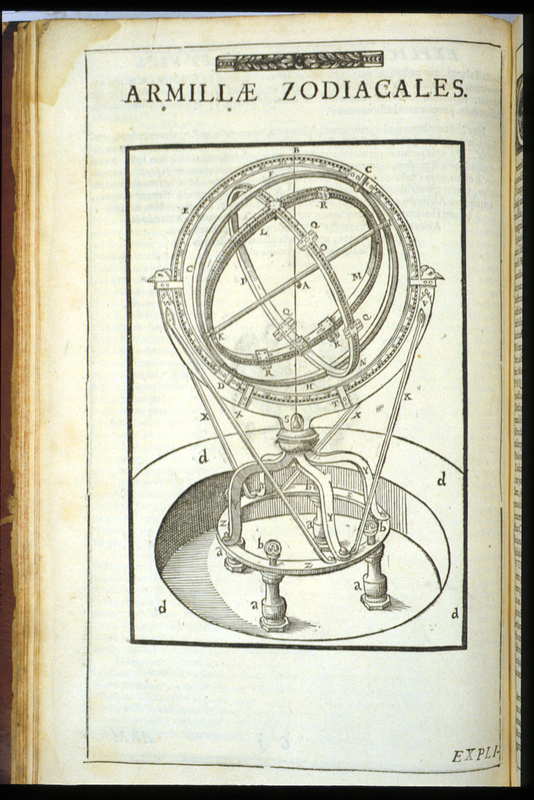 The pictures from Tycho’s instrument book, plus an English translation may be found here. 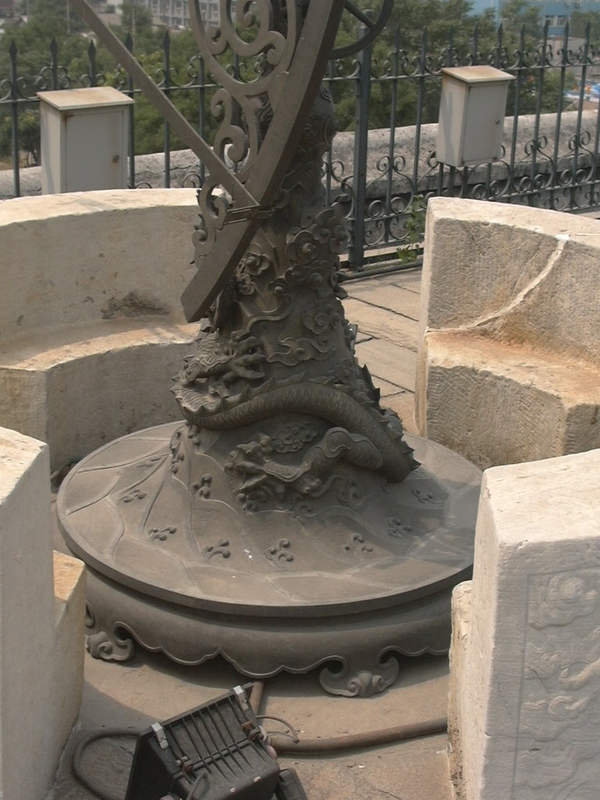 This entry was tagged Chinese astronomy, Chinese science, Jesuit science, Tycho Brahe. Bookmark the permalink.